Our tech collections continue to grow, and, in addition to your phone, wireless headphones, and maybe a tablet, it’s not unusual to bring along a charger to keep your gear energized when you’re out and about. However, you’re not always guaranteed to find a power outlet when you’re on the move, and while toting around a portable battery helps, even these devices run out of juice eventually. That’s what makes the Universal Waterproof Solar Charger a must-have in virtually anyone’s everyday carry, and it’s on sale for a limited time today. Right now, you can pick one up for almost 80 percent off its regular price, all the way down to only $10.99. Whether you’re gearing up for a day out or an extended backpacking trip off the grid, the Universal Waterproof Solar Charger is designed to keep up with you. Keep this solar battery bathed in sunlight, then watch its 5,000mAh reserve pump out enough juice to get your smartphone or tablet back up to full power. Thanks to the included adapters, this battery is also a workhorse no matter your smartphone preference. Whether you’re an Android user or an Apple fan, you’re always able to plug in and power up at a moment’s notice. What’s more, the Universal Waterproof Solar Charger is, of course, waterproof, as well as shockproof, making it a solid companion on rainy days, afternoons by the pool, and during high-octane outdoor adventures. 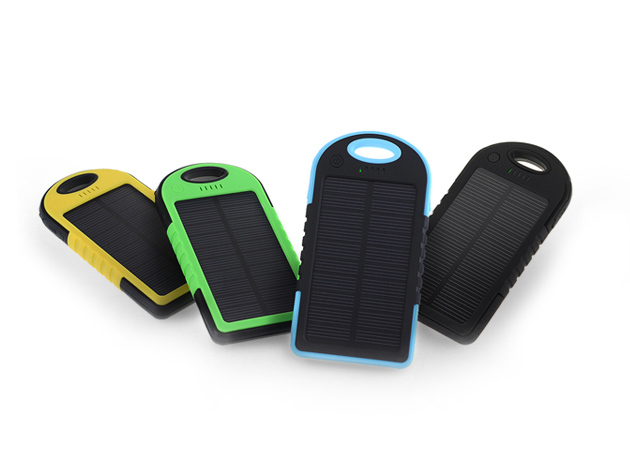 The Universal Waterproof Solar Charger comes in yellow, green, blue, and black color variants, and they’re all on sale for a limited time. Normally retailing for $49.99, you can get your own on sale today for just $10.99—that’s more than 75% off the usual price.